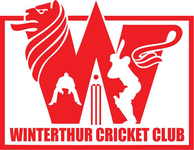 Winterthur Cricket Club lost their season opener against Olten Cricket Club by just 2 wickets in an exciting season opener at Obergösgen on Sunday 7th May 2016. Olten CC captain Ali Nayyer won the toss and elected to field first on a beautiful warm sunny day. No umpires showed up, but the game went ahead anyway thanks to Vinat Patel (WCC) and Moorthy (Olten CC) for doing the umpiring work. They both were professional, fair and did a splendid job rotating each over. Deesh (with his new hair cut) and Selvaa (with his usual silence) opened the innings for WCC and gave us a good steady start. Jagath and Selvaa played sensibly, especially against the West Indian body line fast bowling of Shane Charles. Soon Selvaa 2 (11) decided to make Shane happy and got clean bowled! Must say it almost sounded like August 1st :-) WCC at this point was 4 for 1 in the 4th over. While the first 2 batsmen gave a steady start, WCC's strategy of attacking was significantly slowed down due to consistent line and length of Olten bowlers and Shane doing most of the damage. In went Prafull with his head high, batted a beautiful steading innings and building partnership by rotating strike and hitting some classic textbook style boundary fours and sixes. Lakmal supported the other end with some fire cracking shots. These two rock-stars managed to bat till the 25th over where Lucky 29 (64) got judged an LBW. WCC at this stage where 89 for 3 in 25 overs. Nic H aka Sean Paul our young talent rapped his way to the crease joining the party and replying to shane's fast bowling with international style and rock solid defense. Praf 44 (56) and Nic 13 (21) managed to keep the scoreboard ticking until Olten Skipper Ali decided to end Praf's brilliant innings a much needed innings for WCC from the equation. Skipper Tom 9 (1) aka "Flash" of the day, walked in and walked out leaving Olten players in utter confusion, as only the bowler Ali, batsman Tom and the fielder who caught the ball knew what happened. It all ended so quick, Olten fielders didn't get a chance to enjoy the wicket :-D Ruan 10 (13) walked in to the crease with confidence and generated so much power to hit some lusty blows, especially the six to damage the Olten team's confidence, but couldn't last long. Things started to fall apart for WCC as Sara 8 (10) and 4 (13) couldn't make a bigger impact. Dipi 0 (40 flies in 4 balls) walked in made sure he killed all the files that disturbed batsmen's vision and got out. Our youngest player Mustafa 3 (10) couldn't make any further impact and WCC innings ended with 138. After a great start and a sad ending of the batting, skipper Tom opened the bowling attack with Dale Steyn aka Ruan and Mr. Cha-cha-cha Pradeep. Ruan had a good start and Pradeep started with a good intention, unfortunately, it was not his day. Skipper Tom immediately made his first change and brought in Jagath, who went for pace in the first over and got beaten badly for 11 runs in his first over. From 3rd to the 6th over Olten team scored quite fast. Ruan making the first break-through in the 5th over, tricking the batsman with a slow delivery got their leading run scorer out! Olten after 6 overs were at 50 for 1. Jagath with a big come back controlling runs big time took the second break-through. Skipper Tom realising the fact that Olten batsmen getting used to the pace brought in Lakmal to reduce the damage and take more wickets. Jagath making the next break-through in the 8th over started bringing hope to WCC and took another wicket in the same over. Olten team fought hard but Sara start bowler struck them hard with good line and length ! and eventually taking his first wicket in the first over. Olten at this point was at 104-6. The WCC really applied the pressure and at this point their run rate slowed down big time, with Sara and Jagath taking their main batsmen out. WCC were in full control, unfortunately, we didn't have enough runs on board to defend. After the match skipper, Tom, said "WCC has really good players and this match proves it! There are a few new faces who are great addition to the team and the core team is getting stronger. Fielding has significantly improved and there were hardly any dropped catches." Looking ahead Tom said, "It was the first league match, there are still have 5 CSPLs to go, to be taken one at a time. We are a good competitive team this season. With the youngsters joining the team and top order delivering what is expected we are on good track, Bowlers and mid and lower order batsmen should step up to support to the team, and we always do so!"